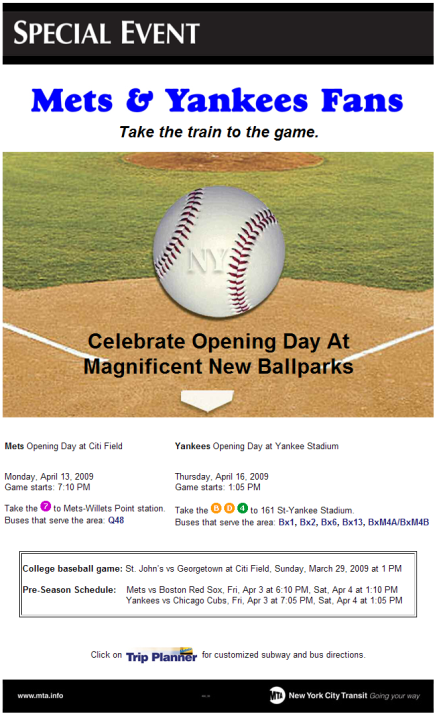 New York City Transit wants you to “Take the Train to the Game” when it comes to New York baseball. And while that includes the number 7 subway to Citi Field, the B, D, and 4 subway lines to the new Yankee Stadium, and a few bus lines no one has ever heard of, does it also include historic nostalgia subway trains from the New York Transit Museum collection? 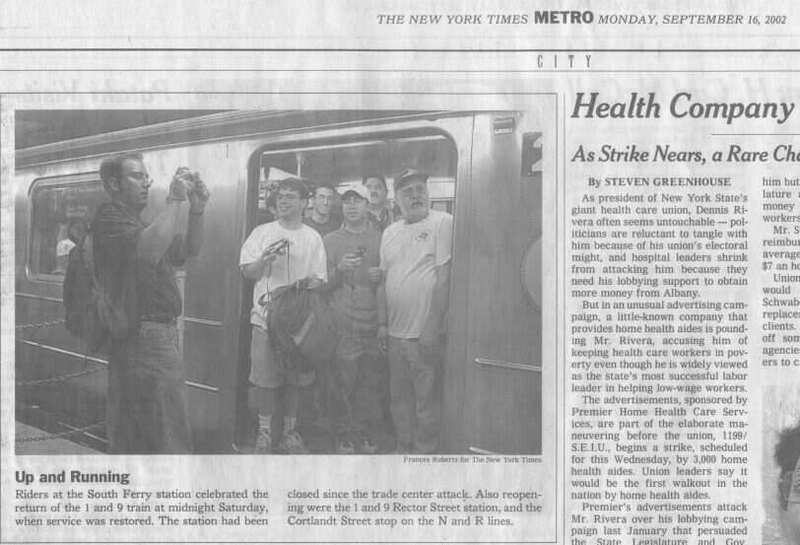 Well, they’ve done it before – they ran the Train of Many Colors (aka the SMEEs) to both the final METS opening day and the final METS game at Shea Stadium last year, and they ran the Lo-V train to the final YANKEES game at the old Yankee Stadium last year. And now NYCT is advertising the opening days at brand new Citi Field and the new Yankee Stadium as a “Special Event” (click on the poster below). Seems like they are going all out. So we may just be going for some historical subway rides two weeks from now!